How do I force wifi preferred for wifi calling? Some background here, I live in a basement and because of this the cellphone coverage is pretty spotty at best. I had constant problems with slow text messages and dropped calls. And yet I still can't force it to use Wifi calling. Because of this now every time I get home I have to turn mobile data off. And vice versa before leaving home I have to turn mobile data back on. This is really annoying and I would appreciate any assistance with this issue. Re: How do I force wifi preferred for wifi calling? PracticalNihili, we know that having service is key no matter where you live. You have taken great steps in trying to set this as your default. As this is a recent change, do you recall adding any new apps or games recently? Since this update have you reset the device to see if there is any change? I specified that the issue started happening after installing a recent android update. I looked at my phone and see that the update is Sept 5 2018 Security Patch. Before I installed the update the Wifi calling was set to Wifi preferred and now it's stuck on mobile preferred. Resetting the device does NOT change it. As a matter of fact I got this phone brand new back in Sept 4, 2018. I know how annoying it can be to have to constantly turn on and off your mobile data PracticalNihili. I want to do everything I can to help. Did you WiFi calling work before you did the update? When you say you reset it, can you please elaborate on what you did? Have you tried to use WiFi calling on a different connection? Before installing the latest system update WifI Calling was set to Wifi Preferred. Resetting it somewhat fixes the problem, Wifi gets set to WifI Preferred but.... if I installed all the latest system updates then Wifi Calling changes to Mobile Preferred and I'm back to square one. Thank you for clarifying that for us, PracticalNihili. Regardless of the set preference, a software update will automatically switch you back to data preferred, correct? If this is the case, have you attempted to place a Wi-Fi call with your cellular data turned off? If so, was the call successful? 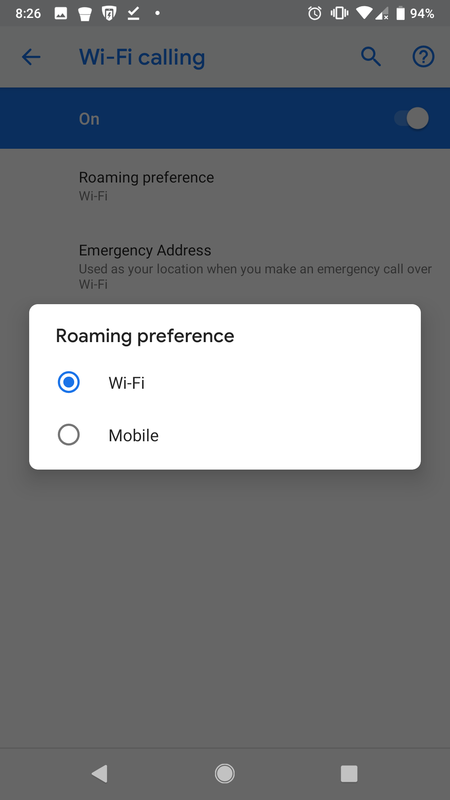 ENABLE WIFI CALLING PREFERRED instead of Mobile Preferred. Please get a software developer or a more technical person to look into this. PracticalNihil has answered that question about 5 times now. I'm in the same boat. Here's what's going on. >>Verizon does not want you to be able to set wifi calling to preferred and that's most likely due to money and control issues. >>>Here's what the customer is asking if it wasn't plain enough before. 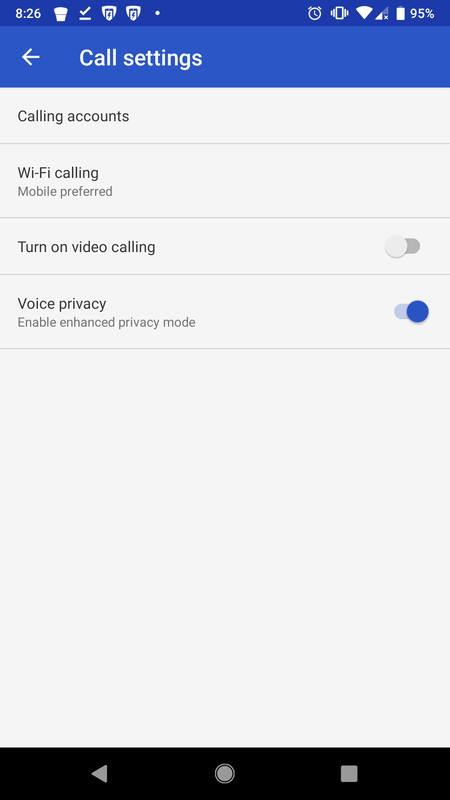 Will Verizon release to the user's control, the option to select "WIFI Preferred" under the PHONE App and not just in the system settings where Google allows it to be enabled. Google built the river and so Verizon built a Dam and your asking the farmer downstream from the dam if they have tried kicking it to receive water....you see why there is so much frustration? Resetting the network does NOT fix the problem. It's becoming clear to me that your company is disabling the Wifi Preferred option. Please raise this issue with the network engineering staff or a more technical staff.